Of all the white Burgundy we import, none is a purer expression of Chardonnay than Nicolas Maillet’s classic Maconnais cuvées. They’re cool, round, unadulterated Chardonnay with excellent balance and no oak. If the Côte d’Or offers Burgundies of pedigree and refinement, then the Maconnais offers Burgundies of vibrancy and joy. 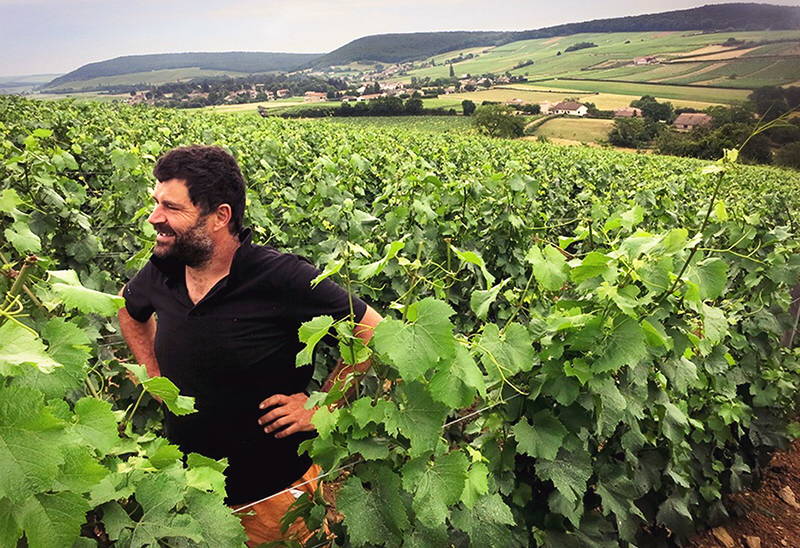 Maillet takes this idea one step further with biodynamics, vinifying his wines with only indigenous yeasts and a slow, months-long fermentation. The resulting wines show extraordinary complexity and purity. Fruit and flowers dominate the palate, with gorgeous texture and long, supple mouthfeels. Maillet’s methods may be slightly unorthodox, but his results speak for themselves. The 2016 Macon-Verzé is bursting with life and energy, from a vintage with near perfect fruit/acid balance. The nose is elaborately complex, with a range of notes from white flowers and green tea to tangerine and apricot. There’s zero oak, allowing the clear golden fruit to shine through. The mouth is classic Maillet — rich and long and pure, but with striking freshness and a beautiful baked lemon core. So complete is the palate of this wine that it requires no accompaniment from food — it’s lush and delightful by itself. But if hungry guests become unavoidable, we suggest cow’s milk cheeses like Comté or Beaufort, or perhaps a bowl of steamed mussels.